The Maximator Rebreather Oxygen Booster - ROB 8-37 is a stage 2 booster for the filling and compression of oxygen, and gives a stable flow with low inlet pressures of 10-20 bar. This device ensures optimal flows for a professional application using a drive source of oil free compressed air, of 1-10 bar of pressure. 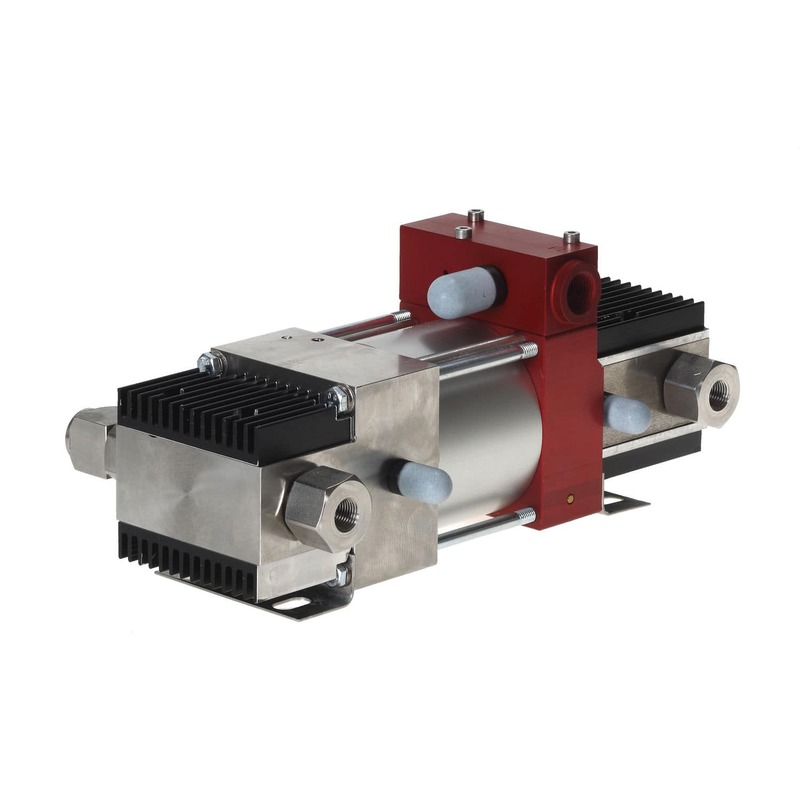 Technical specifications: average flow of 30NL/min, maximum outlet pressure of 300 bar, has a pressure ratio of 1:8/1:37, and delivers 21.6 cm³ volume per stroke. Maximum temperature of 60°C and weighs 7Kg. Dimensions: (H) 280mm x (D) 145mm x (W) 120mm. Popularly employed by professional divers, the ROB series can be used to mix gases suitable for diving, as well as being used by Fire Fighting and other Emergency Services, who are committed to using the quality performance that the ROBs deliver. Robust and long lasting thanks to its solid design and engineering.